One of the things I dislike most about the holiday scramble is having to navigate past a liquor store on the way to a party we’re already late for, and then wandering aimlessly looking for a good bottle of something before standing in line for twenty minutes to pay for it. 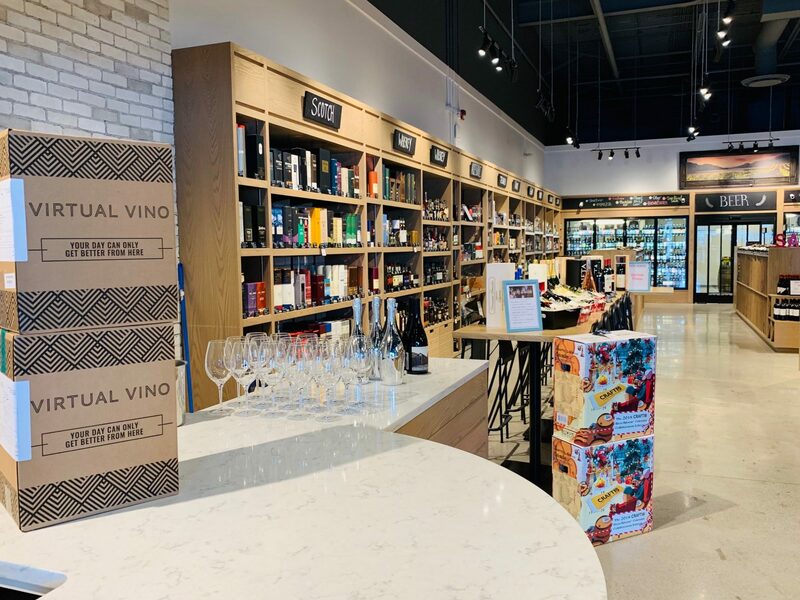 Last year I ordered a bunch from Virtual Vino – I especially love small beer and wine stores you know *only* sell good, interesting bottles, so I know there are no bad picks – and I got an amazing deal on it all. (Honestly- the six packs are $25-$68 dollars off!) And the bottles stood by, neatly tucked away in their sleek custom boxes, ready for me to grab on the way out the door. It truly was one of my best holiday decisions. Last year I got a box of red and a box of bubbles, and this year I grabbed a six pack of 93+ Critics’ Picks Reds and one of New School Rosés, which seem fun for parties. So I’m set for wine, but at Christmas I like to bring a little something to go along with it – spiced nuts, or preserves, or homemade granola. I tend to squirrel away preserves over the fall – this year I made more apple jelly (some spiked with rosemary and ginger, which is so fab with cheese), a few jars of blueberry-gin jam, and a couple batches of quince paste, and a few weekends ago, with a litre of cream in the fridge about to tip past its expiry date, I made a few jars of salted caramel sauce. 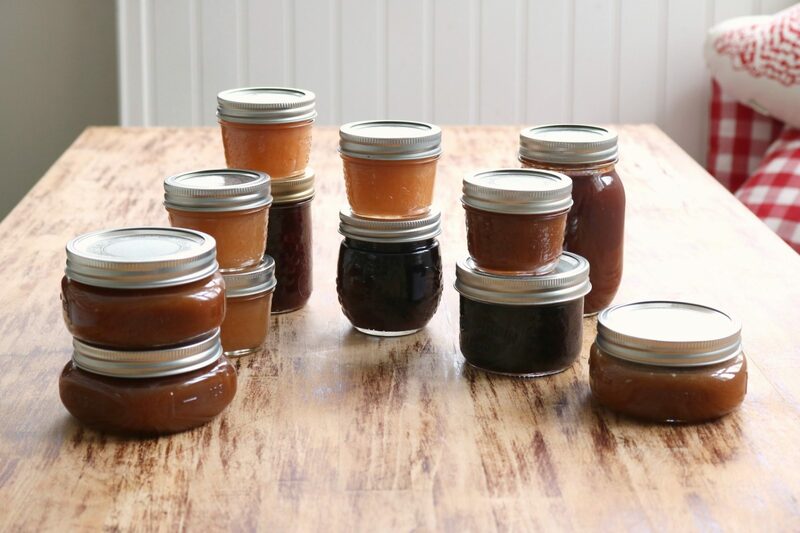 (I also like spiking caramel with espresso powder or cardamom, or making it with eggnog instead of cream – there are so many things you can do with a basic caramel sauce.) 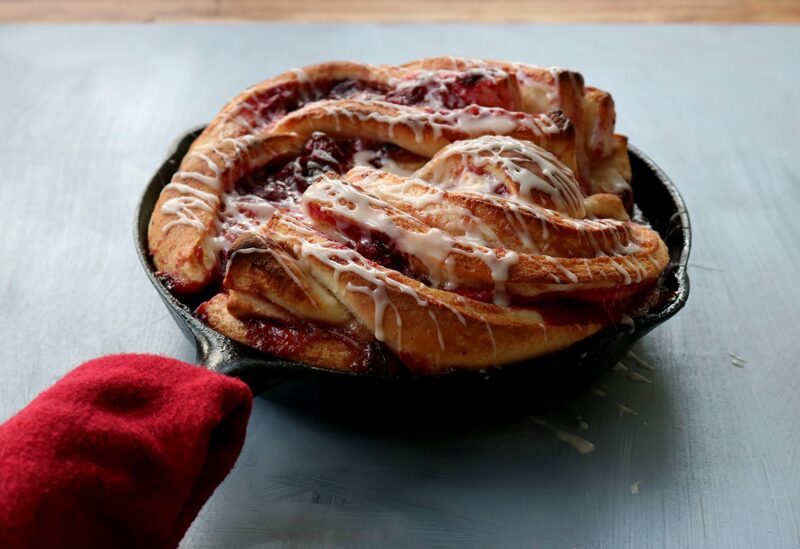 I like to bring things that don’t need to be eaten quickly – while I love the idea of bringing a freshly baked stollen or some kanelbullar, they won’t be as delicious if they don’t have a chance to eat them right away. Something like gingerbread caramel corn or a jar of caramel sauce, Meyer lemon biscotti will last until they get to it. And I always make big batches of spiced nuts – these balsamic-rosemary pecans are my favourite – which I keep for our own gatherings, to chop and toss on salads, and to bag up and give away. Bonus: you can make them all ahead of time, and grab a bag or jar on your way out the door! People tend to get hung up on what would be the perfect thing to bring, and often it needs some reheating or assembly there, and then there’s jockeying for position in someone else’s kitchen and half the time you forget to retrieve your baking dish at the end of the night. Enter the almighty antipasto: it’s savoury, portable, doesn’t need to be served warm or cold, can be made well ahead, and it somehow reminds everyone of Christmas. All you need to do is stock up on crackers. For years, we made antipasto early in the seaon every Christmas, using a recipe my great aunt Maud used to make, from the Art Gallery of Windsor Cookbook, circa 1987. I am completely unable to enjoy any other version of antipasto, because in my mind this is the correct one. We made a batch on Tuesday (thanks again, Virtual Vino!) and so many people got excited about it on Instagram stories. I do like making things that trigger that kind of reaction. All that’s required is a lot of chopping – you bring it all to a simmer in your largest pot – don’t cook it too long, as you don’t want it to get too soft – and then spoon it into jars and keep it in the fridge. 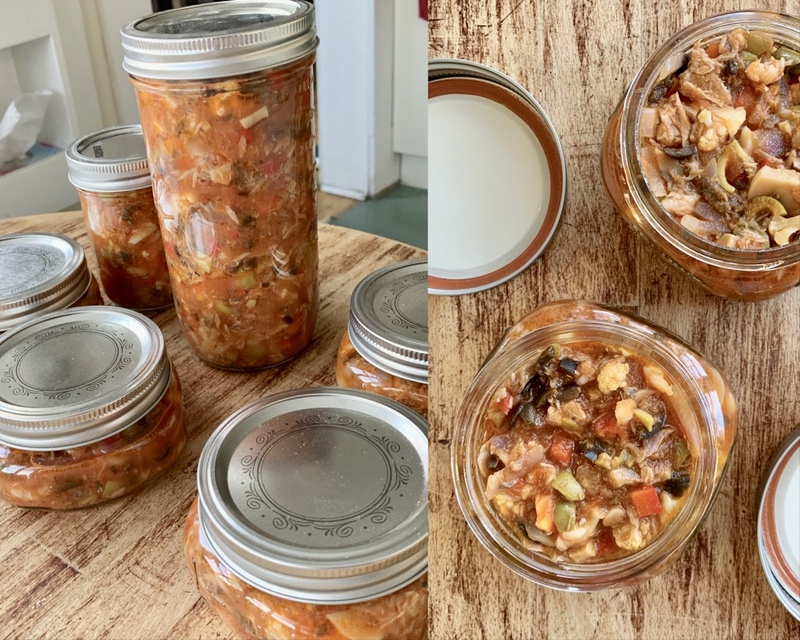 This recipe makes at least a dozen jars, depending on their size – I always pack a huge jar for my dad, and a variety of sizes for bringing to parties, for our own parties, and for when I need something to eat that’s not Toblerone and don’t have the will to cook. And then there’s your own party. 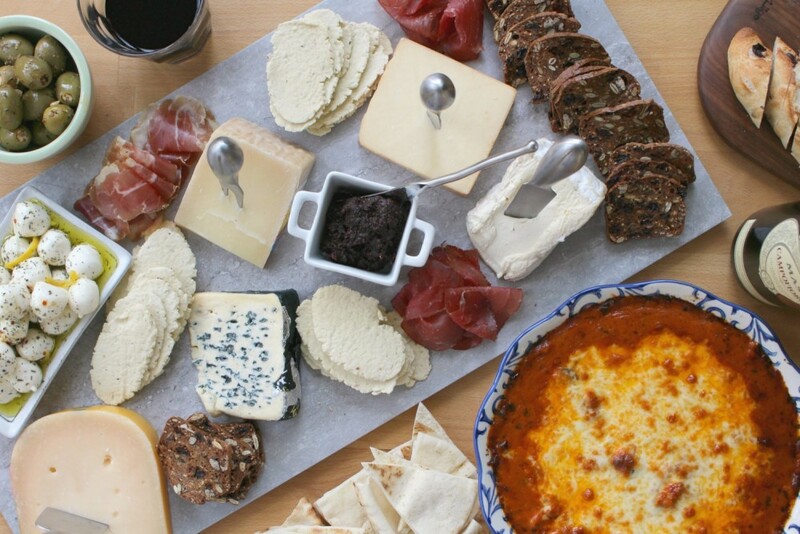 Ours is cheese themed: everyone brings a piece of cheese, and it’s a big cheese feast. I start with a cheese board and plan for a big, gooey baked brie, which is super easy to assemble and slide into the oven, but I also like to make some cheddar shortbread, which is the best for making ahead to slice and bake. I tried Anna Olson’s cheddar-chive shortbread from her new book, Set for the Holidays, and it’s fantastic. I baked one log, just to see, and the other is tucked away in the freezer. Things you can make ahead are the very best – fortunately, most dips and spreads actually benefit from a day or two in the fridge. Same goes for an old-school cheese ball – 1 pkg cream cheese, at room temperature, mixed with 1 cup shredded aged cheddar (or really, any grated or crumbled cheese ends/bits), 1 finely chopped green onion, a crushed garlic clove or bit of garlic powder, 1 tsp Worcestershire and some black pepper, shaped into a ball (or log) and kept wrapped in plastic in the fridge for up to a week. When you’re ready to set it out, roll it in a shallow dish of sliced almonds or crushed pecans to coat. Fortunately, most bars and shortbreadlike things can also be made ahead of time, although I prefer freshly baked cookies to those that have been in the freezer, so I’ve been hoarding logs of cookie dough. 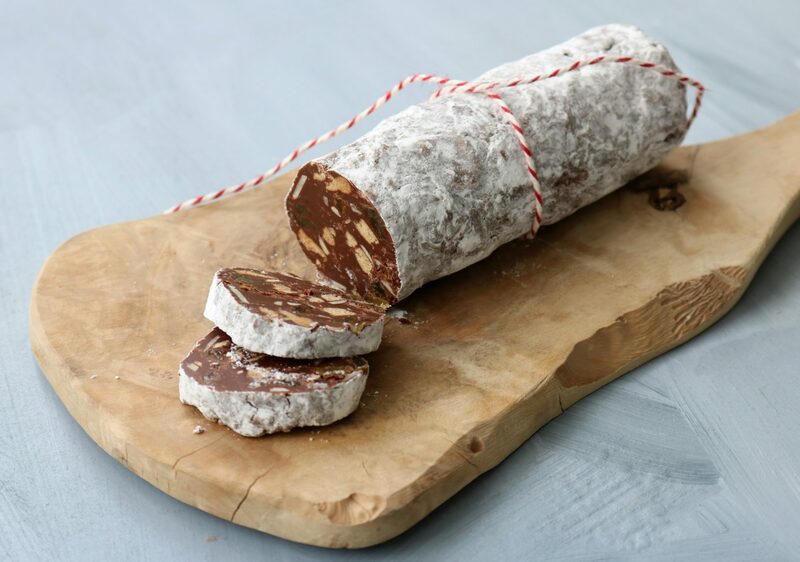 And I’ve made a few chocolate salamis! I was reminded of the existence of these brilliant party logs in Lisa Dawn Bolton’s new book, On Boards, and decided to make some to stash away. Although there are a ton of formulas online – mostly they’re melted chocolate and butter, with bashed butter cookies or biscotti stirred in, with dried fruit and nuts – I thought I’d morph those awesome confetti squares, only a chocolate version – melt 1 300 g package semi-sweet chocolate chips with about 1/2 cup peanut butter and 1/4 cup butter, stir in crushed cookies (Digestive biscuits! ), dried fruit and nuts, then chill until almost firm, and roll into logs. Roll the logs in icing sugar to coat and return to the fridge or freezer, wrapped in waxed or parchment paper, to set out and slice whenever you’re ready for them. I inevitably wind up making tons of cookies over the holiday season, mostly for fundraisers (there’s another next week, on Wednesday December 12 at noon, downtown in the lobby of the Suncor building, to benefit the Calgary Interfaith Food Bank) and so I don’t participate in many cookie swaps anymore – but I always go to one in my neighbourhood just to hang out, and I know it’s a thing for a lot of people. But making ten dozen cookies can be daunting – as can bringing home ten dozen, especially if you don’t have ravenous teenage kids. So here’s an idea: swap logs of dough, which means far less work for the attendees, and everyone can slice and bake (or drop and bake) their dough whenever they need it – and have freshly baked cookies, rather than pulling them out of the freezer. (Dough takes up less space, and because it contains less surface area and more moisture than a baked cookie, freezes better.) Rolled cookie dough (like sugar cookies and gingerbread), slice and bake cookie dough and shortbread work the best, but drop cookies (like chocolate chip) and shaped cookies (like ginger crackles) work just fine too. And then there’s all that other baking. I love this part, but I rarely get around to making it all, and then I’m disappointed in myself. BUT. 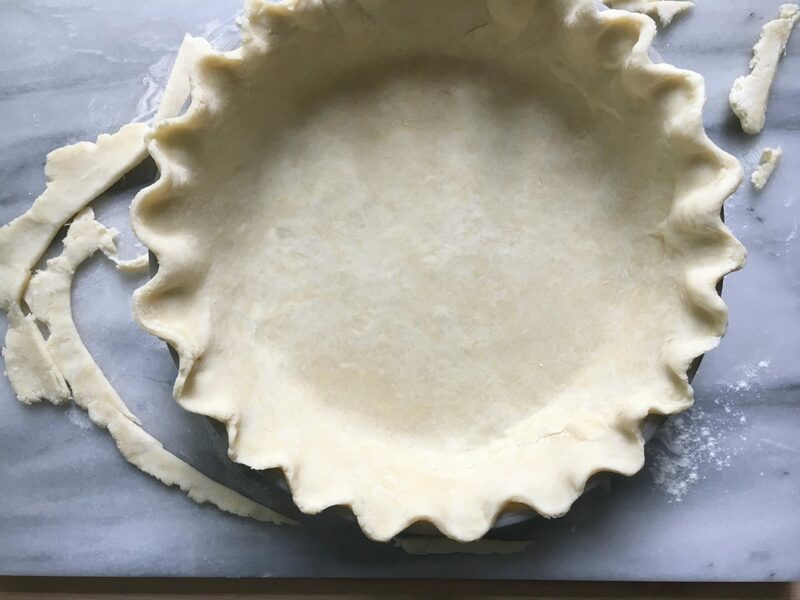 Early in the season, I try to make a batch of pastry dough here and there, when I have the mixer going or some spare time in the kitchen, because it’s even better after having rested in the fridge or freezer. Disks of dough take up very little space, and you can just leave it on the countertop to thaw and it’s ready to go. Also: homemade mincemeat. It sounds like a big production, but in reality you have one apple and one pear to chop, and they go into a pot with raisins, currants, citron, brown sugar, butter and spices. And nuts stirred in at the end, if you like. Bring it to a simmer, add some brandy or port if you like, spoon it into jars and it too will keep in your fridge or freezer for a good couple months. When you have both ready to go, it’s easy to make a batch of mince tarts, but I also like to make crumbly, oaty date squares with mincemeat in the middle (less finicky than pastry, if it intimidates you), and spoon it over oatmeal. To make tarts: line muffin tins with pastry, fill with mincemeat, top with a lid or cut-out pastry shape and bake at 375F for 15-20 minutes, until golden. 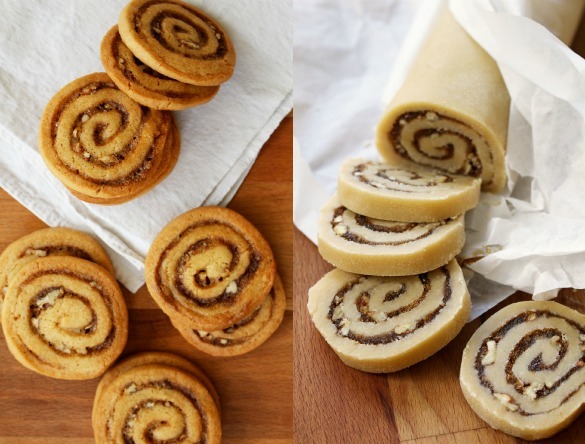 I once met someone who used to spread her cinnamon bun dough with mincemeat before rolling, slicing and arranging it like a tree on a sheet to bake. 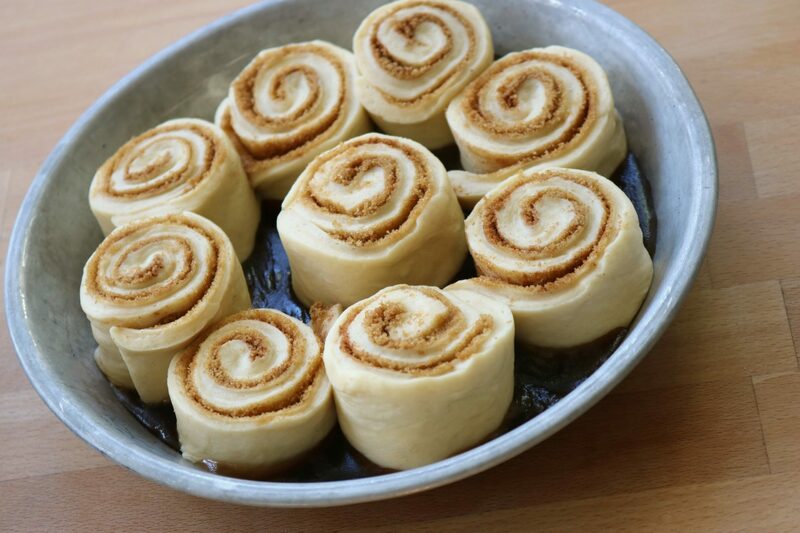 Which brings us to those cinnamon buns we all want, freshly baked, on Christmas morning. This has been my go-to recipe for years – like all yeast doughs, cold slows the rise, so you can assemble them to the point of baking and put them in the fridge overnight, or in the freezer for months, and let them thaw/warm up a bit on the counter while you preheat the oven in the morning and just slide them in. Easy. And the recipe makes two pans, so I typically bake one right away and freeze the other. 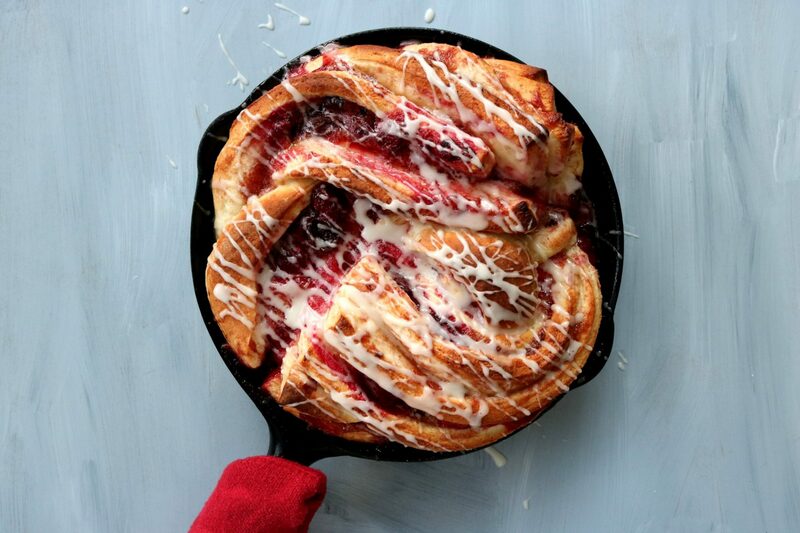 I gave Anna Olson’s raspberry jam Danish wreath a go too, and it was spectacular – so fruity, but not overly sweet. It’s shaped like a babka, but the beauty of it is, no matter how wonky you think it looks going in, it will look fantastic coming out. I mean, look at this! I also love anything I get to splatter with drizzle – and at this time of year, I always make my drizzles with eggnog instead of milk or cream. It appears I’ve written over 2500 words on the subject, so I won’t carry on to address the turkey dinner – I’ll leave that for another post. Stay tuned for getting ahead, part 2 – and thanks again to Virtual Vino for making this post happen, and supporting this site! 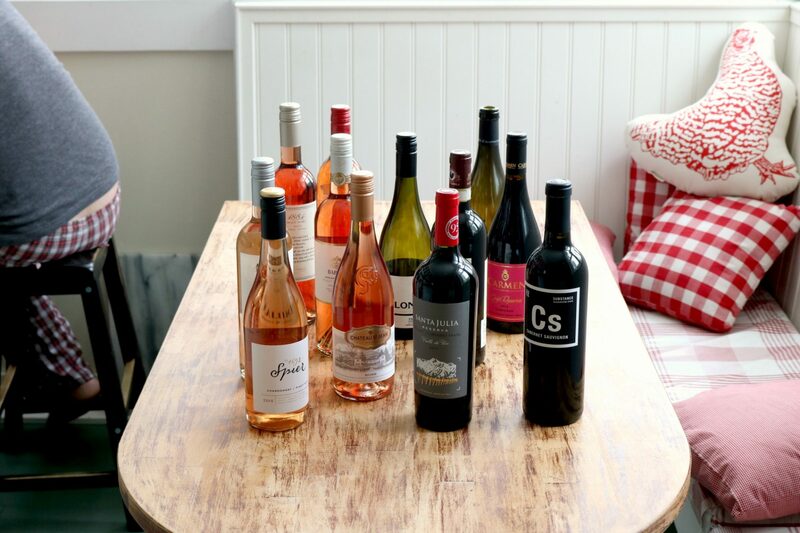 They truly will make your holidays easier, and save you having to choose the perfect bottle. Happy holidays, everyone! Party on! Yeah, it’s tricky! You’re not dumb! Whatever you do, it will be fine – cut it in half crosswise, then lengthwise. Take two pieces by the end and twist them, almost like you were making a braid, only with two strands. Twist them together like a rope, and then kind of wind them in the pan or baking dish however it works. She starts with one end in the middle and makes like a concentric circle, I think. You’ve outdone yourself with this magnificent post! Thanks for all the great ideas, photos, and recipes. It has helped lift the spirits of this down in the dumps, reluctant, and overwhelmed Christmas bystander! Aw, I’m so glad! Thanks for reading! Oh, thank you for the Christmas present, Julie. That’s awesome, thanks for letting me know you liked it! Happy holidays to you too! Just made your chocolate babka for the second year in a row (check it out, if you haven’t tried it). It’s now a Christmas morning tradition. Thanks for all you do! That’s so awesome. I need to make it again too! I agree – I love when it’s useful information you can use, especially when it ties into the service they provide! I legit use them!